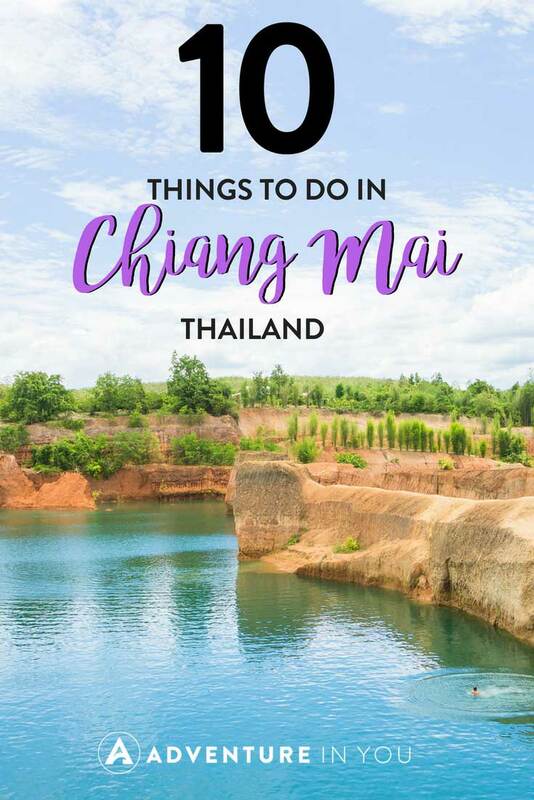 Top 10 Things to Do in Chiang Mai That You Shouldn't Miss! Top 10 Things to Do in Chiang Mai That You Shouldn’t Miss! For those of you that don’t know, Chiang Mai is a quaint town in Northern Thailand that is often visited by many. For those that want a break from the busy hustle and bustle of Bangkok, Chiang Mai is a welcome change. Between its many temples, amazing street food, and interesting hikes and treks, Chiang Mai has a lot to offer. In fact, Chiang Mai was our home for a good year or so. It is a melting pot of cultures, traditions, and of course, delicious food! 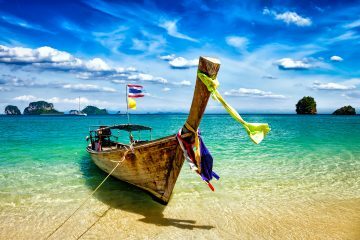 For those who are keen to come and visit, here are 10 awesome things to do in Chiang Mai, Thailand, along with a few day trips and unique experiences. Heading to the Islands? 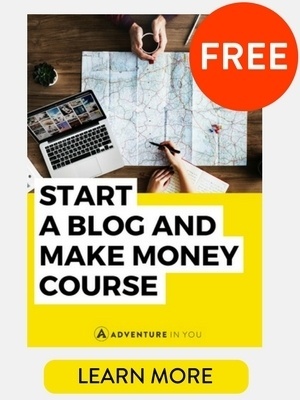 Check out these Guides that we wrote for you! I will go out on a limb as I begin to profess my love for food. Thai food in particular. So, I figured, what better way to spend a couple of hours in Chiang Mai that to learn how to cook! From Pad Thai to Thai Red Curry, there are loads of recipes to try and dishes to eat. Chiang Mai is full of cooking schools where you can practice your culinary skills. We recently completed a cooking class with Galangal Studios and had the best time! We made a total of 5 dishes when we were there and left the place absolutely stuffed! Booking a class with them is something we highly recommend doing! Click the button below if you want to see all the cooking classes available in Chaing Mai. Similar to Bangkok’s shopping scene, Chiang Mai is at par as it boasts of awesome night markets. The night bazaar is one of the places biggest night time attractions, selling a wide variety of clothing, souvenirs, food, and handicrafts. This 1km long marketplace is located between Tha Phae and Sridornchai Road and is usually open from 6:00- 12:00 midnight. Another market to check out is the Sunday Walking Street market by Tha Phae gate. This market is not too overwhelming and is full of handicraft, clothing, and food vendors. We prefer the walking street market as there are more handicrafts and handmade things. We recommend going a little bit early as it tends to get very crowded in the evenings. 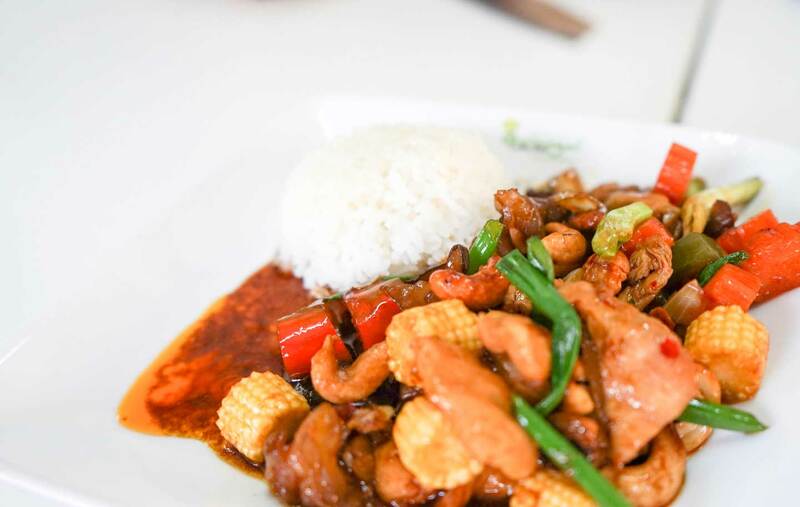 It’s no secret that I think Thai cuisine is some of the best in Asia. The aroma, the delicate mixture of flavors, and the ever so subtle (or not subtle) spice that you will find lingering in every bite. 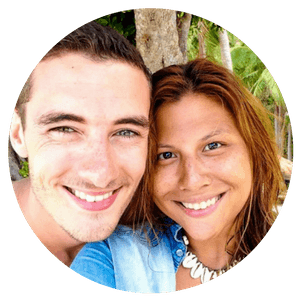 When we were last in Chiang Mai, I made Tom drive me around in a motorbike as we searched for the best Khao Soi. Khao Soi is a traditional Northern Thailand chicken noodle curry. Its flat wheat noodles is often mixed with some fried crispy noodles, simmered in a spicy coconut curry soup. To accompany it, you often get some lime and roasted chili paste. It is absolutely DELICIOUS. 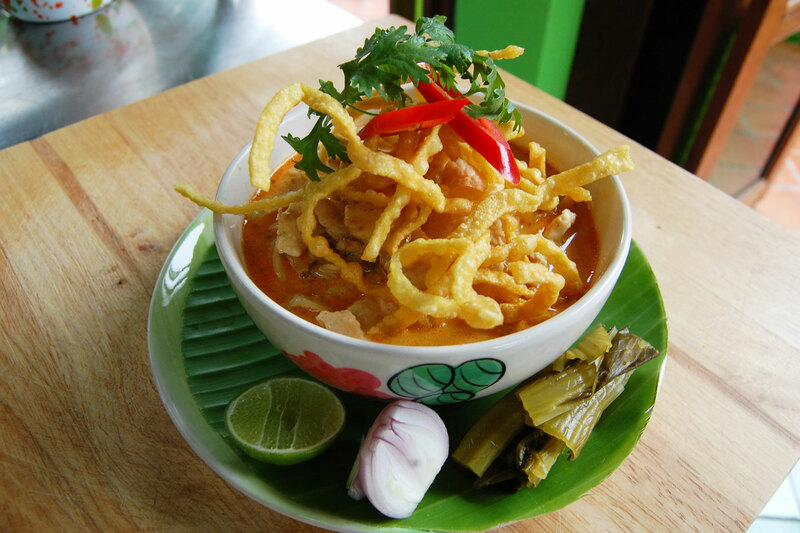 The big question is….where is the best Khao Soi? Our pick, Khao Soi Khun Yai’s (Grandmother’s Khao Soi) It is a big tricky to find as there are no signs. Located between Wat Monthian and Wat Kuan Kama is a private house where you can find this small eatery. They are open from 10:00-2:00pm Trust us, a trip there is worth it! When you are in need of a bit of testosterone and adventure, you might consider watching a Muay Thai match while in Chiang Mai. Commonly known as the National Sport of Thailand, watching an event is an easy feat to do. As you walk around the streets, you will see people giving away flyers advertising a match that evening. While there are literally about a million and one places where you can watch a match (okay, that was a bit of an exaggeration), the Kawila Boxing Stadium and Thapae Boxing Stadium are two of the most visited. I will be the first to admit that I have a fascination with monks. 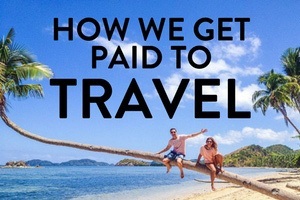 Their lifestyle, their way of life, and how they ended up their absolutely fascinates me. If you are as curious as me, I have good news for you! 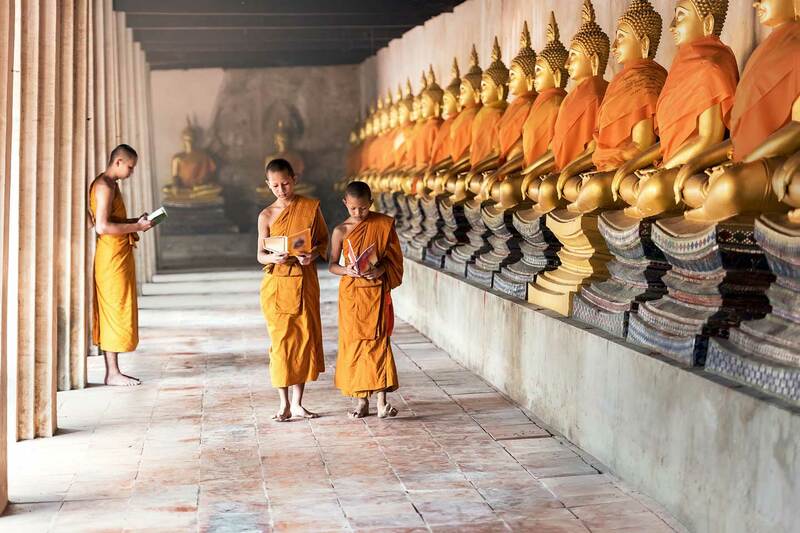 While you visit the many temples that are in Chiang Mai (I think they have over 300), you also have a chance to take part in the Monk Chat program. Here, you can interact with them and ask them questions about their chosen path in life. Wat Chedi Luang, a temple located right in the middle of the city allows you to get your one on one time with monks who are part of the program. Apart from that, you can also make buddies with the monks in Wat Suan Dok. We recently spent a whole day with Paul from Best Tuk Tuk Tours and had an awesome time seeing Chiang Mai. Paul can customize each tour so when I asked him to do an “off-the-beaten-path” tour, he gladly obliged. Each tour is different which is why it is so special! 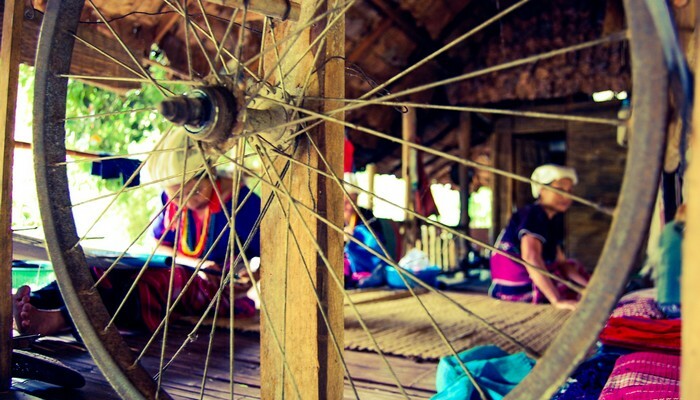 We went visited Baan Tong Luang which is an eco-agricultural village, home to eight different types of Hill Tribes. Seeing them go about their everyday life while holding on and preserving their culture was a great experience. After the village, we also headed to Bua Thong Waterfalls which is something that we definitely recommend. Zip lining is a fun activity that can be enjoyed by anyone. Located in Chiang Mai is the famous Flight of the Gibbon canopy center which is hoem to around 5kms of ziplines, including a long 800m one. Just getting out of the city and enjoying a couple of hours in the forest is highly worth it. The lush forest, the sound of the waterfalls and river, and the possibility of seeing Gibbons is enough to make us head there for a visit! If you love elephants, the only way to see them is through ethical companies which operate around Thailand. Our top choice is the Elephant Nature Park. Their nature park is home to over 70 rescued elephants. They have various day programs, volunteering opportunities or even a day trip to the jungle. 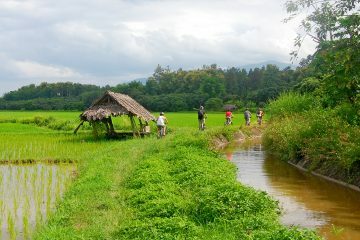 We recently did the Karen Elephant Experience with them where we trekked the jungles with the elephants roaming freely. We also got to give them mud baths and bathe them in the nearby waterfalls. This up close and intimate experience was the best way to see these majestic creatures! Okay, I know the title is a bit misleading, but I couldn’t help it. While in Chiang Mai, after a long day of walking around temples and touring, try getting a cheap foot massage. For less than $5, you can get a 30 minute foot massage to ease your soles. Choose a shop with a window view and entertain yourself by people watching as you get your footsies stretched. For those that want the full body experience, getting a Thai massage in Thailand is a must! The therapists are all well trained and they really stretch you to get all the knots out your body! Due to Chiang Mai’s location, there are loads of places to visit around its area. If you are tired of seeing the regular looking temples, head on over to Chiang Rai (either by organized tours or by a motorbike) and go see the famed white temple. It is pretty spectacular and is a sight to see! 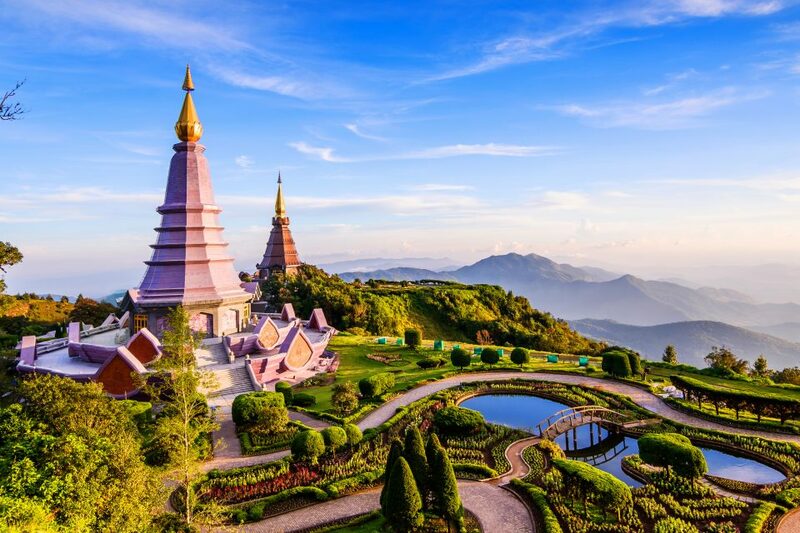 Another area that we recommend visiting is Doi Inthanon National Park which is home to the highest peak in Thailand. We spent a weekend camping there and we cannot recommend it enough! Apart from that, you can head on over to one of my favourite places in North Thailand, Pai for some relaxation and chill time! 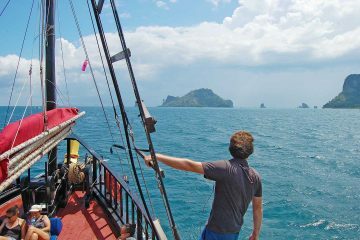 Similar to most places in Thailand, the range of accommodation varies from budget to high end. You can get dorm beds for as cheap as $5 to nice splashy luxury hotels. Being that Chiang Mai is a place we now call home, here are a few of our personal recommendations on where to stay in Chiang Mai. I’ve never been to Thailand but Chiang Mai is definitely on my list. I’d love to take a cooking class…get a foot massage….and do everything on this list! Hahaha! You need to make it to Thailand soon. It’s great value when you’re budget backpacking. Aww that’s too bad. I didn’t do it the last time I was there but I am planning to head there again soon and can’t wait. 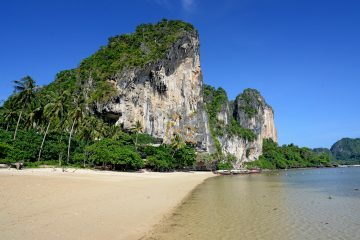 I dream of going to Thailand one day. 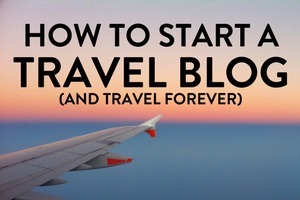 This guide makes want to book a trip soon! I specially like the idea of people watching while getting a foot massage and taking a cooking course. I’m definitelt bookmarking this for later! I love Thai food and the idea of going on the hunt for the best Khao Soi sounds like my ideal day. I also didn’t realize how many other sites could be explored via a day tour. Pai looks stunning! Pai is amazing!! One of my favorite places in Northern Thailand. I just love the food and cooking school experience. A definite must, as are the night markets. I’d also add going to get a massage by the EX-prisoners at one of the EX-prisoners massage locations. These ladies received training in prison and are now earning an honest wage. A great program to support and the best massages (yes plural!) I had in Thailand. Also, head up to Elephant Nature Park to spend the day or more with elephants. Hands down the best way to learn about the animals and support an ethically responsible elephant program. Oh that massage experience sounds pretty cool. I’ve heard about the elephant nature park. Still need to check it out when I get there. I think I have to go to Thailand just because of the food. I’d LOVE to do a cooking class there! I much prefer the smaller towns for really getting a feel for a country. I’ve never been to Thailand, but I love Thai food. I imagine that I haven’t really tasted anything until I’ve had the real thing. I prefer smaller towns too! Yeah, for me, the more local it is, the better! Food is amazing. I can’t wait to visit Chiang Mai! I’d really like to take a cooking class, so I can try preparing my own Thai food at home. Ahhhh – those Muay Thai boys…. 🙂 Absolutely fell in love with this city and did one of the best cooking courses we tried in our travels here. Biking in the mountains another one we’d add. Do you remember which cooking school you guys went with?